I hate Sundays. Always did. Unlike Fridays and Saturdays where the weekend is still to look forward to; Sundays are the joy sucking day when one has to mentally prepare oneself for work, and previously school. Neither prospect ever filled me with excitement. Anyway, this Sunday we went to the Orchid weekend at our local garden centre. I had a good gossip with the people from Burnham Orchids, bought some plants and visited the guy who had brought some tame-ish owls along. Yep, back to the day job. I was supposed to start using a new method to analyse earthworms for pesticide residues but discovered that the instrument manufacturers had made an error when setting the instrument up before the holidays. Those peaks on the screen are not supposed to be there…. Every break time on Monday and Tuesday was spent getting ready for our collaborative blog post on Wednesday. Monday evening was spent writing emails and the blog post. The day began with repeated attempts to work out what the hell was going on with the above instrument. Not much progress was made. Poor Dominique also got in touch and was having a frustrating time with the collages for her blog post. Then I got home and Susan had a headache and went to bed early. Not a good day. At least my workout at the gym was good. Whilst sad, Susan’s early night gave me chance to unwind with a movie. My movie choices have become increasingly French recently. Switching off with a movie last night was obviously just what my old brain needed. I woke up with a hunch about the instrument problem. So I actually went to work quite excited to see if I was right. I was! So with that problem solved I had a much cheerier morning. Lunchtime I posted my ‘When Fashion and Nature Collide‘ post and read Dominique and Lisa’s posts. (We do not have prior sight of each other’s words, just the theme and the pictures). This was a busy day! 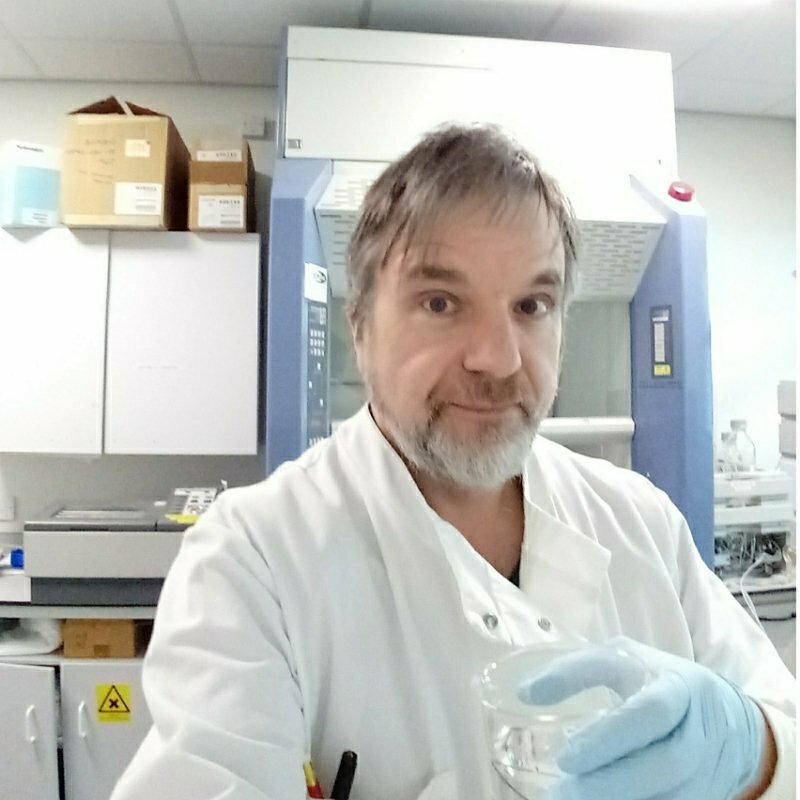 I went to the lab to do some sample preparation – mashing up earthworms. WibWobs spicy bean burger with the aptly named Insanity Sauce! Even the owners were impressed I could eat that much insanity sauce without spontaneously combusting. Then I went off to the meeting hall for the lecture. I got there early as I have the keys. After putting out the screen etc I had a few minutes to play with the lego and sticklebricks in the pre-schoolers corner before Susan arrived to tell me to grow up. The lecture was good though. The Dolomites is where I took the gentian photo on Wednesday’s post and we had used many of the same walking trails. Prof John Richards is a professor of botany at Uni of Newcastle and I have encountered him in my professional life as well as in his capacity as a leading expert of Alpine gardening. He wrote THE book on Primula. I am still cold from last night! Below my pay grade now really but I still enjoy taking apart very expensive pieces of lab kit and hoping it all works again afterwards! Then it was back to the QA Manager hat again in the office to send off some paperwork to the UK Accreditation Service. Then I don’t need to tell some of you that friday night is pizza night! Previous When Fashion and Nature Collide – Flowers January 2019. What a week! I like this idea of an overview of the week. Thanks for sharing. Happy Friday! Arty, I had no idea you are a scientist. Do tell which field of science you are in. And of course very pretty bulbs. The highlights for me were your wondrous strawberry and the mashed worm! Thank you😊. Have a great weekend! Thank you😊. I am pleased with how the strawberry is developing (ripening😊?). The mashed worm is only one of the delightful materials I have analysed over the years. Last year’s highlight was seagull vomit! Thank you my friend. We have indeed talked a lot this week so you already knew what I have been doing! I did not mention the high point of today in my blog post – for now it is just our secret😉. So leased you like the strawberry – it was your idea so I want you to like it😊😍. Pizza was great. You have a lovely weekend too! I love the strawberry! It is gorgeous already and I can easily picture it done with the rest of the design… I can’t wait to see Lisa’s project as well. You two are so inspiring. I won’t say anything but please hurry up because I can’t wait to tell Lisa and the others. 😊 Enjoy your weekend dear friend! I absolutely love that you shared your week with us. I find your job quite interesting and I am quite intrigued to learn more. The strawberry 💗💗💗💗💗, its going to be fantastic my friend. Im so happy pizza was good! I hope Do and I can share pizza night with you soon. Have a beautiful weekend!! Wow , Amazing credentials and contribution to the world. Thank you so much for replying. What can’t you do ? ;))Have a wonderful weekend, Arty. 😂 You can say that again! Arty, you sound as a well rounded and multifauceted human being. Must be fun to be you and yes, learning to say no is one of the most monumental skills anyone can learn-this was my lesson as well til recent years…I understand that concept very well. Why thank you. What a lovely comment😊💕. Thank you Linda😄. You spoke to Dominique? That is lovely! As for the ‘secret’, hopefully tomorrow all will become clear😉😄. Yes, we were on the phone for well over an hour and a half! I will just have to wait on the secret, but I’m hoping it has something to do with your project you were working on earlier. Acceptance/gallery/applause! We are going to follow up with that, too. But ok…I shall wait!